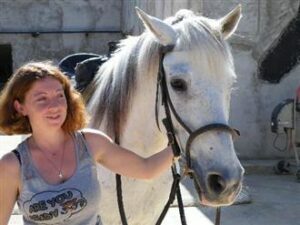 Ride a Horse Ride into the beautiful Landscape in the undiscovered hinterland and hills above Protaras or to Kavo Gkreko. Moonshine Ranch has been long established on the outskirts of Protaras. Coming From Ayia Napa take a left turn just before descending into Protaras. There is a Large Sign there and drive up a short distance of maybe 100 or 200 meter. You will find Moonshine Ranch on your Left Side. It offers the most fantastic views over the landscape as far away as Kavo Gkreko. The Horses are available to hire on an hourly basis, but speak to the Owners or Manager and they will tell you all about it and give you some local Info. Best times to see the beautiful Nature is Spring as everything is green (and yellow).